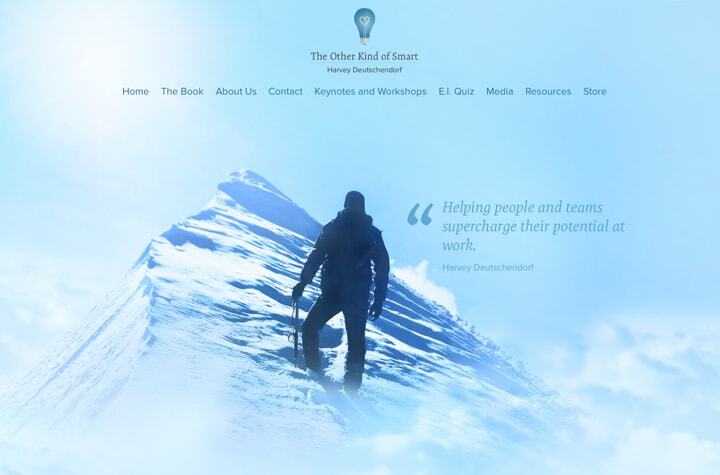 Harvey, the author of The Other Kind of Smart, was looking for a new site that really emphasized his book and offerings to the public in a more engaging way. 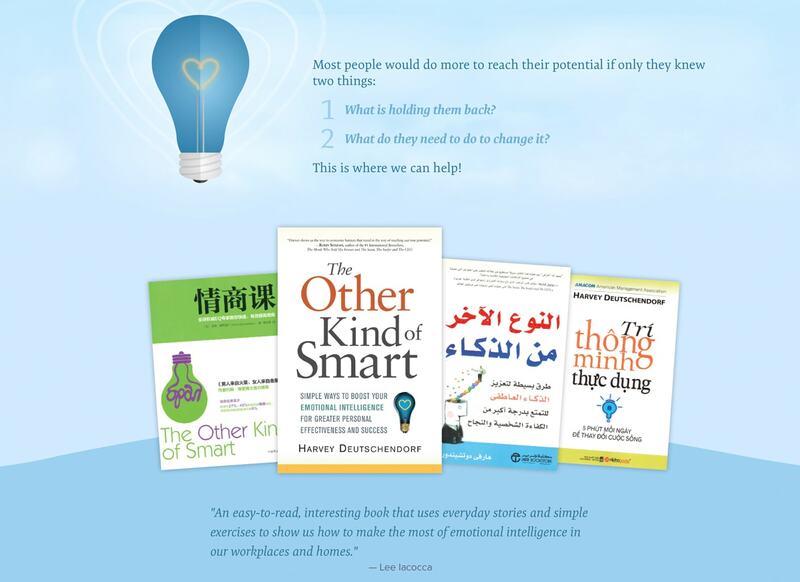 The final site is one that is both approachable and inspiring, with an updated logo and gentle interactions to match. 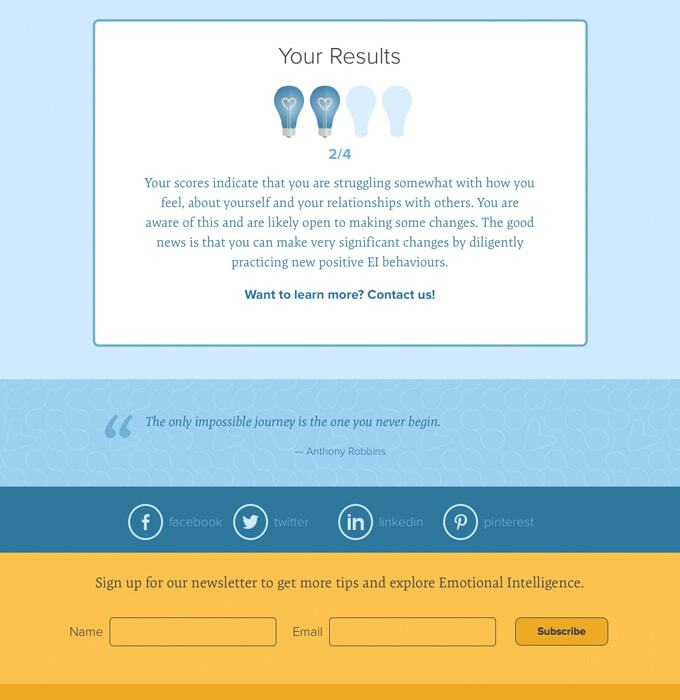 An interactive survey was built to give users the ability to investigate their own emotional intelligence further. 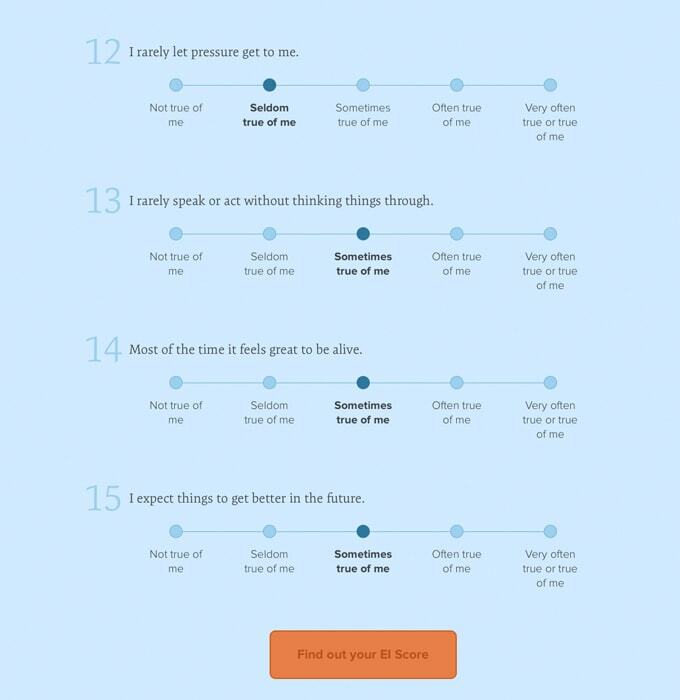 Simple to use on both desktop and mobile, the experience was built to be inviting and easy.